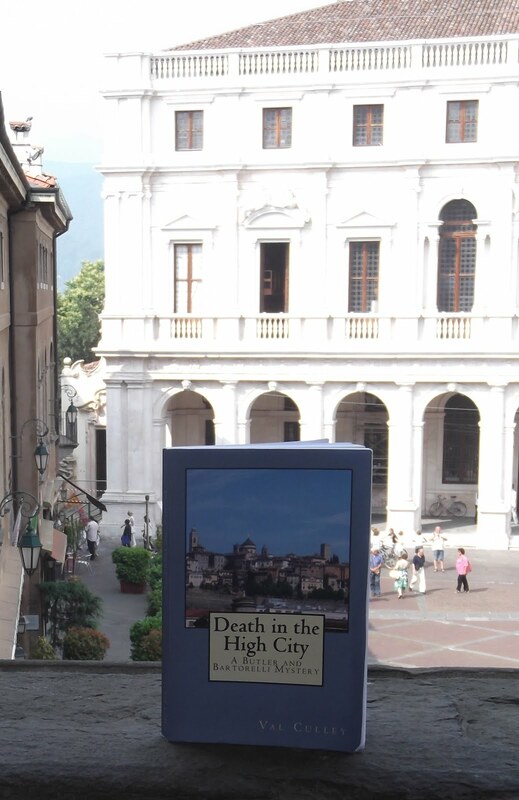 At the heart of Bergamo’s Città Alta (upper town) lies the Piazza Vecchia, which is sometimes referred to as the most beautiful square in Italy. It is a good place to stop for a drink or a meal as there are plenty of bars and restaurants. 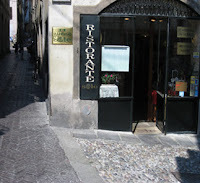 In one corner of the square, at the beginning of Via Bartolomeo Colleoni, is Il Sole, one of my favourite restaurants. Although it looks small from the outside, there are plenty of tables in two large rooms, furnished in traditional style with oil paintings and some interesting, antique cookery implements on display. There is also a large garden for sunny lunches and dining outside on warm evenings. It is a great place to try traditional Bergamo dishes such as Casonsei alla Bergamasca (stuffed ravioli with bacon and sage) and Polenta Taragna (polenta served with local cheese). Or you could try their Cotoletta alla Milanese (pictured above; a large veal cutlet in breadcrumbs, which is a Milan speciality), or fresh fish. They also offer a comprehensive list of pizze, which are cooked in a wood-fired oven. Il Sole has an extensive wine list, or you can try the inexpensive house wine, which is served in jugs. The food is reasonably priced and I find it to be consistently good. To book a table, telephone 035 218 238. The restaurant is closed on Thursdays. Il Sole is also one of only a few hotels in the Città Alta and it has ten rooms available for booking. Visit www.ilsolebergamo.com for more details.